WASHINGTON, DC, May 11, 2015 (ENS) – The Obama Administration today announced “conditional” approval of Shell Gulf of Mexico, Inc.’s plan for exploratory oil drilling in the Arctic Ocean’s Chukchi Sea starting this summer. Shell is preparing 25 vessels to begin a two-year drilling program in the Chukchi Sea off the coast of Alaska. The U.S. Department of the Interior’s Bureau of Ocean Energy Management, BOEM, approved the drilling starting in July if Shell meets a list of conditions. Shell must obtain all necessary permits from other state and federal agencies, including permits to drill from the Bureau of Safety and Environmental Enforcement and authorizations under the Marine Mammal Protection Act. Another condition of approval prevents Shell from commencing drilling operations until all Biological Opinions under the Endangered Species Act have been issued and requires that all operations under the plan comply with the terms and conditions included in those Biological Opinions. “We have taken a thoughtful approach to carefully considering potential exploration in the Chukchi Sea, recognizing the significant environmental, social and ecological resources in the region and establishing high standards for the protection of this critical ecosystem, our Arctic communities, and the subsistence needs and cultural traditions of Alaska Natives,” said BOEM Director Abigail Ross Hopper. “As we move forward, any offshore exploratory activities will continue to be subject to rigorous safety standards,” she said. BOEM officials said the approval comes after a comprehensive review and consideration of comments received from the public, stakeholders, and federal and state partner agencies and tribes. But environmental groups are appalled at the government’s approval of the drilling in view of Shell’s ill-fated 2012 attempt to drill for oil in the Chukchi Sea. That year, one of Shell’s vessels ran aground and another, the Noble Discoverer, failed multiple government requirements. The public interest environmental law firm Earthjustice this month submitted 38,000 comments to BOEM urging rejection of Shell’s drilling plan. “This decision places big oil before people, putting the Arctic’s iconic wildlife and the health of our planet on the line,” said Erik Grafe, Earthjustice staff attorney. “President Obama must protect our planet and our children’s health from dangerous climate change. That should mean saying ‘no’ to Shell and ‘yes’ to clean energy alternatives,” said Matzner. Shell has released a video animation showing what the company would do if there is an oil spill, a plan that sounds very much like what BP attempted to do in the Gulf of Mexico in 2010, when the Macondo well blew out, spewing crude oil into the Gulf for three months. Shell submitted new plans to explore the Arctic Ocean oil reserves to the BOEM after the Obama Administration upheld a 2008 Arctic lease sale last month, clearing a big hurdle for the company. 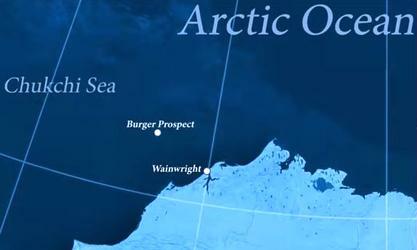 The program outlines the drilling of up to six wells within the Burger Prospect that would be completed using the drillship Noble Discoverer and the semi-submersible drilling unit Polar Pioneer. 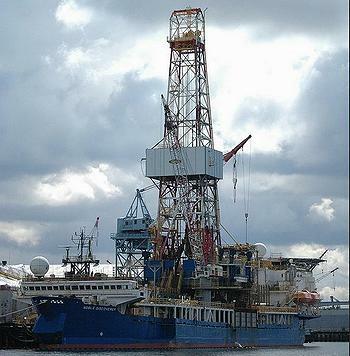 The vessels would be removed from the Chukchi Sea at the end of each drilling season. Shell has created a new corporation for Alaska Natives to acquire an interest in Shell’s activities on its Chukchi Sea Leases. Called the Arctic Inupiat Offshore, AIO, it includes six North Slope village corporations: Ukpeagvik Inupiat Corporation, Tikigaq Corporation, Olgoonik Corporation, Kaktovik Inupiat Corporation, Atqasuk Corporation, and the Nunamiut Corporation. Additionally, the Department of the Interior released proposed Arctic standards in February tailored to the region’s challenging and unforgiving conditions. The proposed rule, which is open to public comment until May 27, includes many required measures that have been adopted previously as conditions on Shell’s Arctic operations and which BOEM also adopted in its approval of this revised exploratory plan.